ALTIS is an elite training environment for athletes, and a global leader of education in sport performance. As interns, we were fortunate enough to be given the opportunity to attend every Apprentice Coach Program presentation, practical, and discussion throughout the November 2018 edition. With a desire to improve and gain knowledge, this provided us the chance to actively learn, grow, and further shape our individual philosophies. The November ACP was filled with many meaningful topics and included one theme that connected the entire week – individuality. Large groups naturally favor categorical training styles to break up athletes into more manageable numbers. Likewise, the majority of sports require grouping athletes based on event and/or position so as to make training of each more specific and effective. Categorical thinking can even be applied to cueing within a group (i.e. giving “pushers” and “pullers” different cues within a group of sprinters). While this style of thought can be useful and is necessary at times, it can quickly lead to overlooking the need for individual considerations. It is important to keep in mind that, regardless of how many groups and categories are used, it is the individual being trained. Individuality was an important motif throughout the week, but it was not the only element of the week that stood out to us. A few key takeaways we will each expand upon are Key Performance Indicators/Inhibitors (KPI’s), Communication and Relationships, and Return to Play/Performance while discussing the role that individuality plays in each subject. While having been mentioned before during our time with ALTIS, the concept of KPI’s was introduced more in-depth during Dan Pfaff’s presentation. With KPI standing either for Key Performance Indicator or Key Performance Inhibitor, it entails the specific characteristics that are crucial for successful completion of an athletic task that can be measured and evaluated. In other words, all the pieces that make an athlete great. During the presentation, it became evident that the concept serves as a double-edged sword and can be applied to both positive and negative items that affect performance. The application of KPI’s to enhance coaching, and therefore sporting performance, can be depicted as an action-loop. It all must start with a thorough observation and the analysis of the KPI’s for every athlete as an individual. Models, previous experiences, and common denominators can help as guidelines but it is important to remember that KPI’s are agile and specific to the stage of an athlete’s career, his or her developmental process, and more. Therefore, KPI’s can fall anywhere along a broad spectrum. Common KPI’s for sprinters can include what Coach Pfaff calls the ‘Big Rocks’ such as stride length or stride frequency but could also be something that may seem banal such as overall health. By no means should KPIs only be considered through a physical-oriented lens but also mental, technical, and tactical. Subsequently, KPI’s can be used to create a priority list indicating what is of higher importance and what is secondary. Thereafter, each component can be stimulated accordingly during training with the hope of increased (or decreased with regard to inhibitors) output. Ultimately, these effects should be evaluated and serve as the verification of the training program. This process can then be repeated, keeping in mind that no KPI is set in stone, rather they are modifiable over time. Individuality is therein key, as every athlete possesses different prerequisites (physiological, biomechanical, psychological etc.) as well as unique situations. Developing a personal relationship with an athlete can help to shape the way you communicate with that athlete on an individual level. This personal relationship will in turn lead to trust and a sense of reliability to and from the athlete and coach. However, building relationships with athletes is a complex process; every athlete has a unique and different sense of reacting or communicating as well as responding to various types of stimuli such as physical, emotional, mental etc. As a coach, it is necessary to identify this complex environment for what it is and figure out how to interact with each athlete. Through consistent and frequent conversations, coaches can utilize a personal relationship with an athlete to determine a more individualized way of cueing, giving each athlete appropriate feedback with regard to their training program. One way to achieve this, described by Tianna Bartoletta (3x Olympic Gold Medalist and 3x World Champion) in her presentation, is to note that good communication is a two-way street – give athletes time to speak and express themselves, so that they can provide their subjective feedback and feel understood. Athletes will tell coaches everything they need to know when given space, opportunity, and silence! Tianna also stated, “A lot of issues can be solved through a healthy coach-athlete relationship with open communication,” during her presentation. She is the type of athlete that wants to be fully engaged and involved in the training process. Coaches should not just ignore her favored communication style, but rather explain more details and reasoning behind the training, including their training philosophy, in order to build trust with athletes such as Tianna. Developing a personal relationship with an athlete can help to shape the way you communicate with that athlete on an individual level. Far too often athletes exist in either one of two realms: injured or healthy. Because of this binary view, Return to Play/Performance (RTP) protocols have often entailed taking an athlete that has been deemed “injured” and removing them from their training until they have been cleared as “healthy” and are able to return to training. However, the vast majority of athletes tend to exist on a spectrum and rarely fall directly under either category. Matt Ferraro and Mathew Pell shared insight into the North Melbourne Football Club’s approach to RTP and how it is important to utilize Plan B and C exercises that closely resemble and bridge into Plan A exercises. By utilizing GPS tracking and load monitoring, along with a detailed and well thought out library of exercises, they have been able to create models for RTP situations that they can then deviate from based on an individual’s needs. This way, athletes aren’t being “cleared” for exercise after being distantly removed, then jumping back into full training cycles of Plan A exercises. What if you don’t have fancy equipment that allows you to track speeds and monitor loads and collect a wealth of objective data? Fear not! You have eyes, ears, and a notebook. Actively observing, taking notes, and listening to feedback from the athlete(s) you work with are all tools that can and should be used to develop individualized RTP protocols for any situation. When an athlete sustains an injury, let’s say deadlifting at 90% for example, should they be taken away from that form of exercise until they are no longer “injured” – then thrown right back in after medical clearance? Or would it be more prudent to regress that exercise to one that the athlete can execute with no issues? Having Plan B and Plan C exercises that closely resemble Plan A exercises can help to reduce, and potentially negate, detraining effects. Another RTP example is using dribble protocols for hamstring injuries. By altering the amplitude and wavelength in an athlete’s gait, training adaptations can still be maintained while building towards full range of motion. Injuries should be viewed holistically, rather than simply targeting the site of occurrence or symptoms. Lastly, an athlete’s mental state must be considered during these crucial times in their training. Communicating to an athlete that they are “injured” can often lead to negative, cascading thoughts. How many times has an athlete immediately jumped to “my season is over” when diagnosed with a pulled hamstring? Utilizing exercises that allow the athlete to actively participate at practice while working towards full function will help the athlete to stay in a better headspace during the Return to Play period. Categorical thinking has a necessary place in training, but it is important to remember that we are not trying to force athletes into a particular mold or model. The beauty of individuality is the growth it breeds, the passion it elicits, and the way it challenges conformity. Whether it is through the identification and assessment of Key Performance Indicators/Inhibitors, the communication used to build relationships, or the Return To Play/Performance process, we should encourage our athletes to embrace their individuality and seek solutions that speak to them personally. Categorical thinking has a necessary place in training, but it is important to remember that we are not trying to force athletes into a particular mold or model. Daulton Teaford – After competing as a sprinter in NCAA Division III and earning my degree in Organismal Biology, I took up coaching collegiate Track and Field for a couple years before pursuing my passion in environmental conservation and community development as a Peace Corps volunteer in Malawi, Africa. Upon returning, I decided to give back to the sport that had given so much to me and take up coaching as a career path, which was quickly led to seeking out quality education and experience with ALTIS. Sam Boehringer – I am a Sports Performance coach from Switzerland primarily working with team sport athletes from youth to professional level. Additionally, I am the Head Strength & Conditioning coach for the Swiss Men’s Ice Hockey National Team. I holds MSc in High Performance Sport from the Australian Catholic University. Toshi Wada – I completed undergraduate degree in Human Physiology at the University of Oregon. During this time, I was an intern under Head S&C coach, Jimmy Radcliffe, and worked with multiple sports including Baseball and Track and Field as well as the OTC Elite professional running club. I am currently a part-time S&C coach of collegiate Japanese long distance runners. For more information on the ALTIS Internship Program visit us HERE! 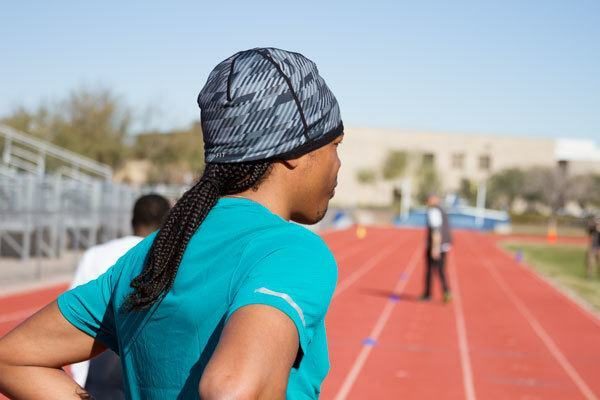 Sign up for the ALTIS newsletter and get all the latest updates straight to your inbox!